Liz Crain is a ceramic artist, who specializes in vessel forms that look like vintage cans. More recently she has been exploring the joining of other art media (found objects, mixed media and repurposed pieces, even some of her own) with clay. UPDATE: This theme was retired in 11.2018, click HERE for details on the new theme. In anticipation of her exhibit 99 bottles of beer on the wall (May 2015 @ Roscoe Ceramic Gallery), showcasing her series of ceramic beer cans, Liz wanted to modernize her website and blog. 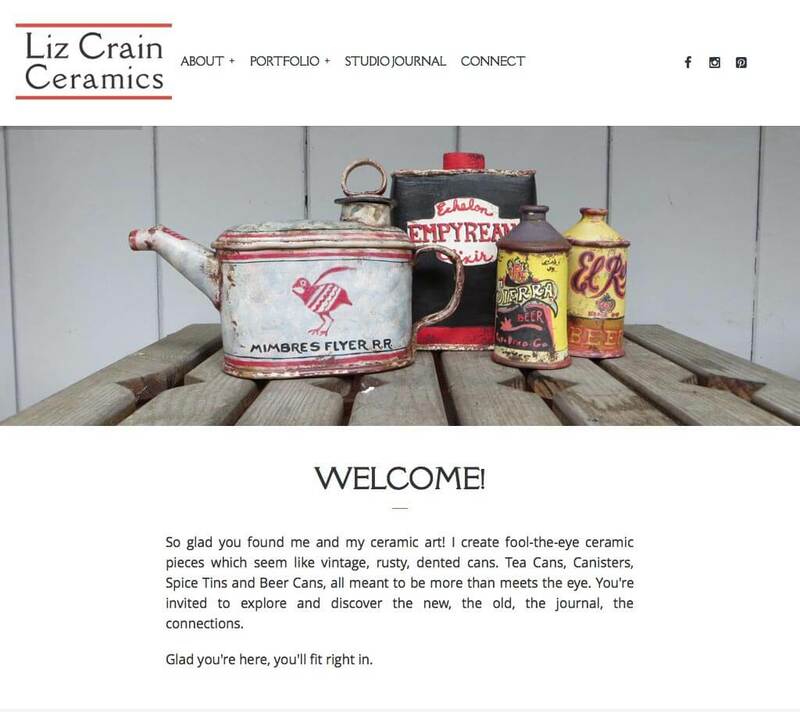 ZapTuba designed and implemented a modern, clean, responsive website which showcases Liz’s portfolio of “more than meets the eye” ceramic vessels and highlights Liz’s journey with ceramics through her blog. In October 2015, we premiered the online shop which carry an array of her pieces for sale. In conjunction with her solo exhibit Games People Play (March 2018 @ Roscoe Ceramic Gallery), we updated her website to include a special section showcasing her series of games, the inspiration behind them, and the history and strategies associated with the games.